tattoos – the amazing free hand and elaborately done designs. henna tattoos are becoming more and more popular in Western countries now days. Different people use different methods to get the henna tattoos on skin. according to the desired shapes and designs is best for seasons. Putting the paste of Henna Leaves into a syringe or cone and using these to draw the free hand designs on the skin is a common method. Professionals who are involved in tattoo designs through henna apply it accurately on the skin. Henna tattoos are temporary no chemical involve and remove automatically within a few days. India and middle east countries has used Henna tattoos as cultural events like wedding and other to make women beauty more impress and joyful moment, it is common to get henna tattoos done on different body parts. 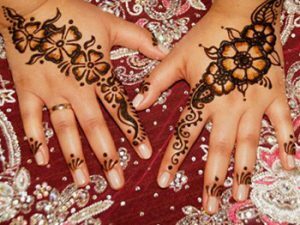 If you are looking for henna tattoo in Fort Lauderdale in Florida or anywhere in surrounding suburbs, you will get the right solutions from a reputed eyebrow threading spa or the right place for Henna Tattoos in Fort Lauderdale FL by Threading and More. is a trusted Eyebrow threading spa and offering you complete make-up solutions. You have to contact as per your requirement and time causal and leave rest of the work on experts working here. Threading and More threading Spa is a trusted name in Fort Lauderdale Florida for eyebrow threading for men and women, eyebrow tinting, eyelash tinting, eyelash extensions, henna tattoos and more. Charges for these beauty care services are normal and will go well your budget.